There are no if's or but's - come auction day this is selling! Huge, solid brick home in a wonderful location offering options galore to the lucky buyer. Sunny and elevated and on its own full site, it ticks all the boxes! It is also on the market for the first time in approx 40 years! 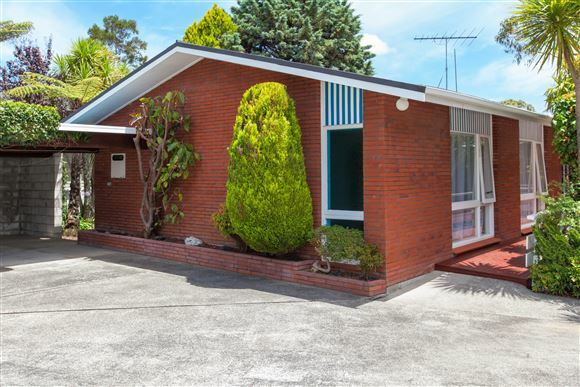 Just up from the Mairangi Bay village and all it offers - shops, cafes, beaches, surf/tennis clubs, parks and reserves. Zoned for top schools and so close to many others - Mairangi Bay School, Murrays Bay Intermediate, Rangitoto College, Westlake Girls. Spacious 4 bedrooms, 1.5 bathrooms, 2 lounges plus study and rumpus, split over two levels and offering loads of flexibility - large family, extended family, potential granny flat/income conversion, teenage pad, overseas students or work-from-home. High pitched ceiling upstairs and extra high stud downstairs. Multiple deck/patio areas provide ample outdoor flow. Mature trees form a private oasis right in the heart of the Bay. The tuis love it and so will you!